Thank you to all our neighbors and community that have made all of this possible! 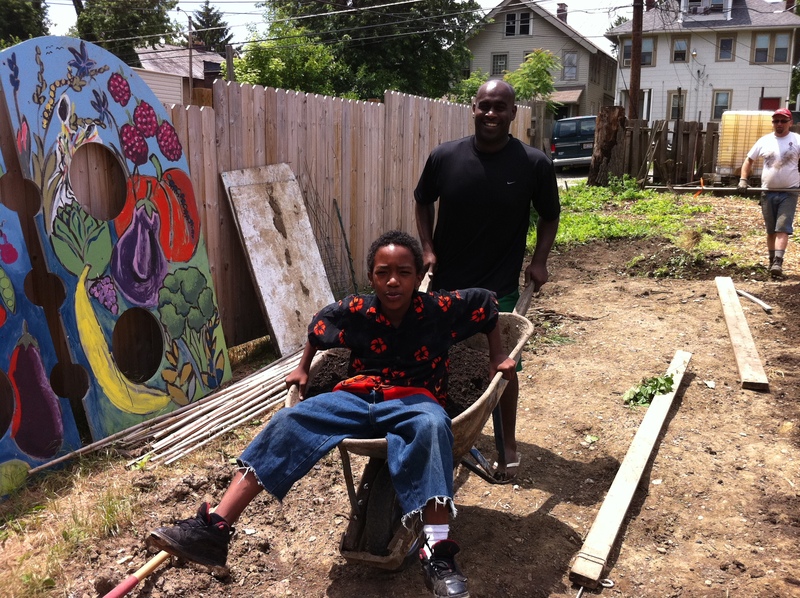 Join us each week in the Garden at 1377 N. 4th Street in Columbus for Community Time…. If you show up, you will meet neighbors almost every time. Pick what you will eat. Pull weeds to give back. Weeds are any plant growing in a path. Grass, thistles, & burdock are weeds in most food gardens. Put weeds in the compost or use as you desire. Join the online volunteer group to get involved directly in the community. Stay involved online on Facebook, Twitter & Instagram. Support 4th Street Farms directly with a purchase from Customized Girl. 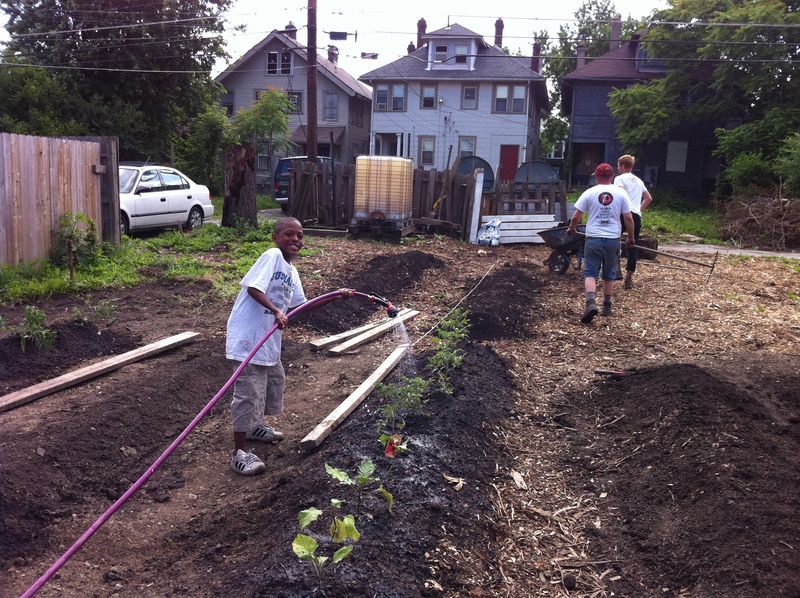 It has been an amazing journey from a vacant lot to a vibrant garden… We got access to the property April 5, 2011, so watch as we continue to grow with community support! In this time, we have held weekly Community Days and hosted other service projects that to date have engaged hundreds of people, including 30 families and individuals from the neighborhood, as well as partners ArtSafe, Youth Build, Godman Guild, Urban Impact, Local Matters, OSU’s Knowlton School of Architecture, International Poverty Solutions Collaborative, United Way, and The Columbus Foundation. Our goal is eat the food we produce and stay friends. Those who work in the garden, eat its produce. 10% of produce is donated to St. Sophia’s Outreach Ministries which feeds 40 people in the morning and 75 people in the evening with a weekly Friday night Pizza Night that attracts over 100 people. 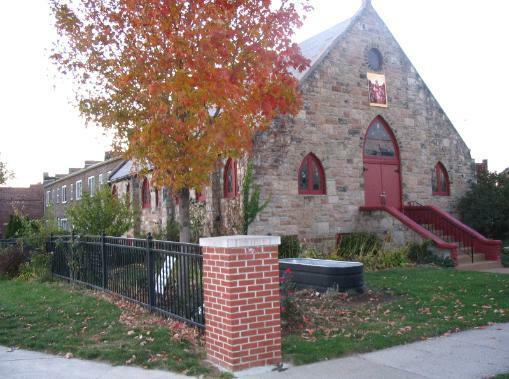 At St. Sophia’s, all adults work in the Peace Garden or the kitchen in exchange for food, children are fed for free. We also collaborate with the Cooking Club of the Food & Wellness sub-committee of the Weinland Park Community Civic Association and have provided some produce for the monthly Cooking Club. We have also partnered with Brothers Drake Meadery, Green Bean Delivery & The Greener Grocer to compost food scraps. As we grow and are able to produce more, we hope to sell some of the food to sustain the garden in the future. Join us in making a difference in Weinland Park. Contact us at 4thStreetFarms@gmail.com or call Evelyn Van Til @ 614.506.7040. What a great project. 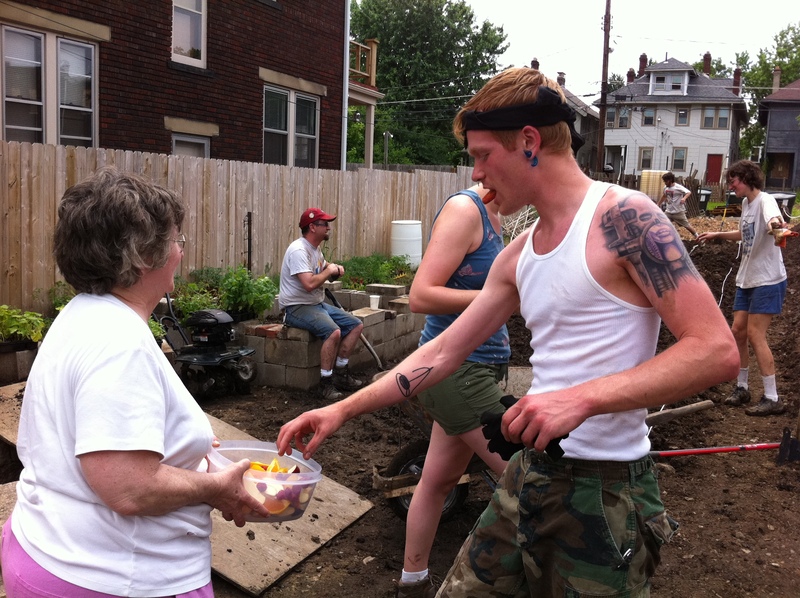 Community gardening is obviously not just about gardening but is about learning about your neighbors and becoming friends.